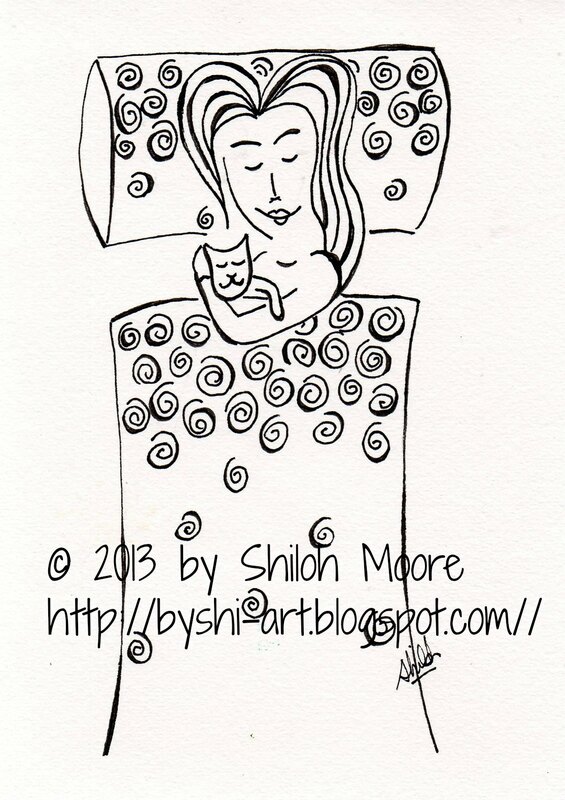 I did some drawings of a girl with her kitty, both lying in bed and standing up and active. A lot of my friends with ME have kitty companions and their kitties are incredibly special to them, so I wanted to capture that. 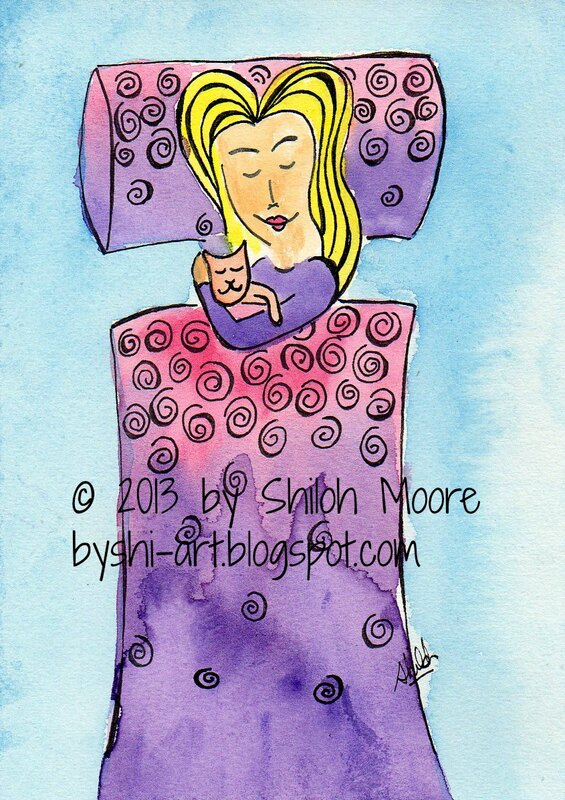 This is the drawing of the girl with her kitty in bed, in colour (above) and just with the pitt pen (below.) I wasn’t too happy with how the purple in the watercolour came out, but I didn’t have the energy to redo it and it’s just an exercise for fun, not to be paid, so it doesn’t have to be perfect! 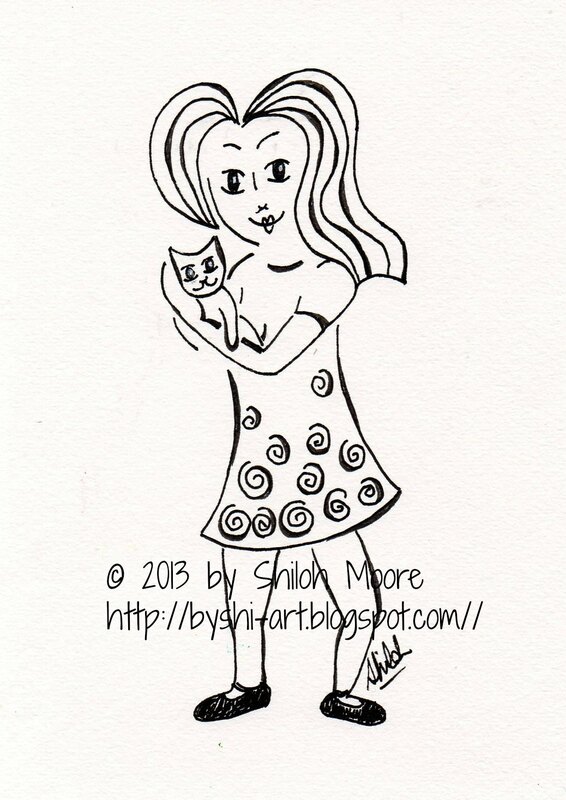 And here’s the girl standing upright holding her kitty. In colour (above), and the outline using Pitt Pen (below). I love it! Just beautiful! Congrats on your beautiful and inspiring artwork.